FIRST-YEAR STUDENTS swim across Conn Pool in a raft during the Olympic Gams, a variety of physical activities that help break the ice in each Big Brother retreat group and provide a fun introduction to the annual spiritual retreat. FRESHMEN AND BIG BROTHERS compete in a relay race on Smith Field during the afternoon games of the first-year retreat. On Oct. 8-9, Loyola held its 26th annual First-Year Retreat for freshmen and transfer students. The weekend was orchestrated by Campus Ministry. In each group of first-year students, three senior Big Brothers, along with a Junior Ground Crew member, guided their team throughout the spiritual retreat. This year, the retreat’s theme was modeled after one of St. Ignatius’ mottos, “Go Forth and Set the World on Fire.” Consequently, many of the activities and discussions were centered on this overarching theme. The Cubs competed in an obstacle course, hippy-hop horse races, an American gladiator tournament, a one-on-one basketball free throw competition, a raft race in Conn Pool, giant tricycle races and relay races on Bob Smith Field. After the students attended the closing ceremony of the Olympic Games, the Big Brothers drove their respective groups to a senior’s home. Each Big Brother group invited a Loyola faculty member to eat dinner with them and help moderate a faith reflection during the evening. 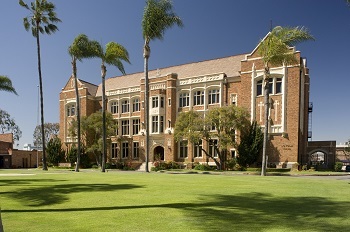 The groups then returned to campus to participate in a number of night activities which included meeting with state assemblyman Sebastian Ridley-Thomas ‘05, participating in a spirit walk in Leavey Gym, singing in the chapel with theology teacher Derek Brown and participating in an examen in Xavier Center. The following morning, first-year students, together with their Big Brothers, headed to Malloy Commons to eat breakfast, engage in discussions with other freshman parents, and have a Sunday morning mass before returning home. Sixty juniors were selected to be part of the Junior Ground Crew in order to help organize the retreat and the various activities the Big and Little Brothers participated in. The retreat also allowed them to become familiar with what being a Big Brother means for when they are a senior. One hundred and fifteen members of the senior class were selected to serve as mentors through the Big Brother program. The Big Brothers actively interacted with their group the entire weekend through activities and socializing at meals and reflections.